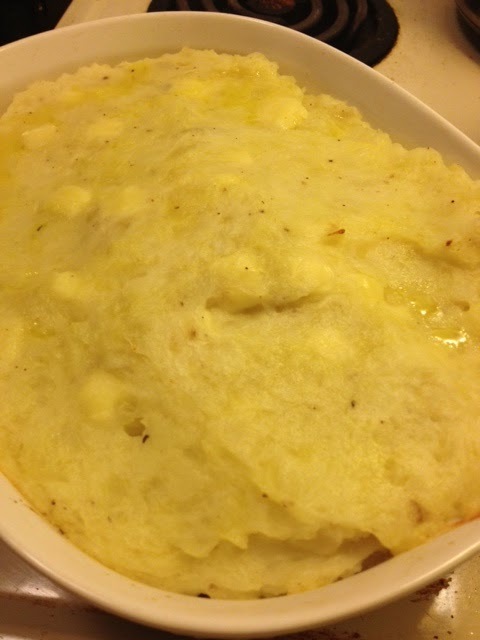 As a child I used to LOVE when my mother made Shepherd's pie. Love, love, love. 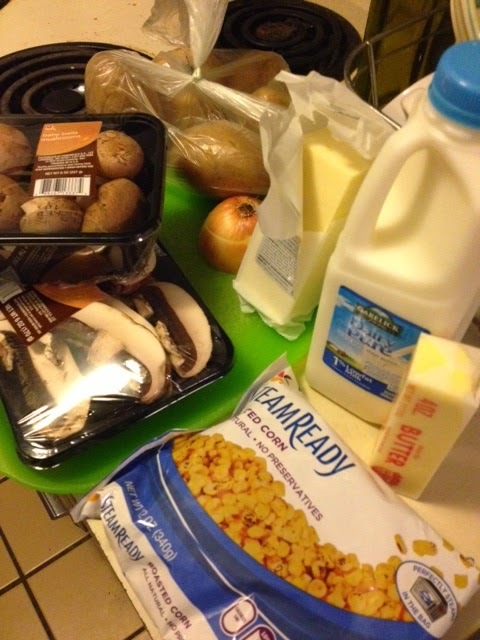 What's better than mashed potatoes, corn and ground meat? And then five years ago I decided to cut meat out of my diet (for ethical reasons) and lost a few of my favorite dishes (i.e. brisket). Oh god, now I want my Nana's Yorkshire Pudding! Anywho. 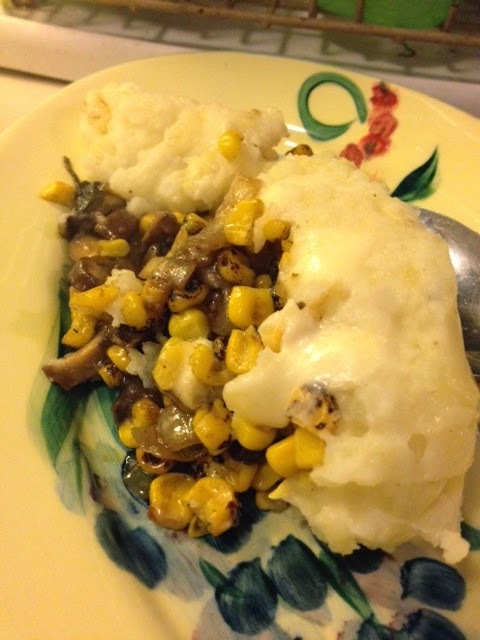 This week I've been fixated on missing Shepherd's Pie and then I thought, what if I substitute mushrooms for the meat? And voila! Not to toot my own horn, but this was flippin good and took less than an hour to make. 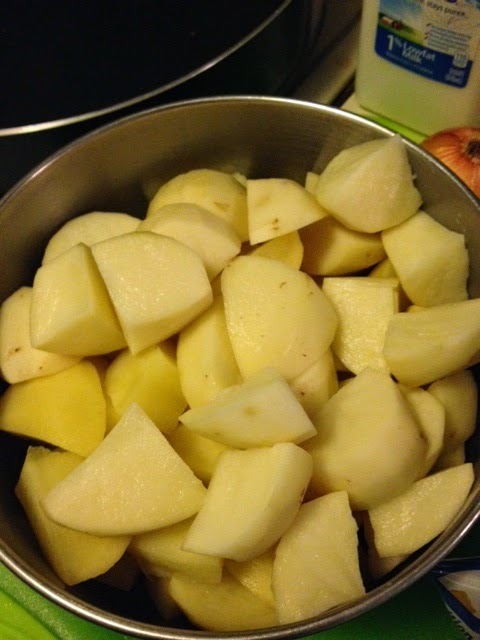 Peel and cut potatoes into uniform size. Cook in salted boiling water until soft. So then you take your bag of frozen corn. You want to defrost it. 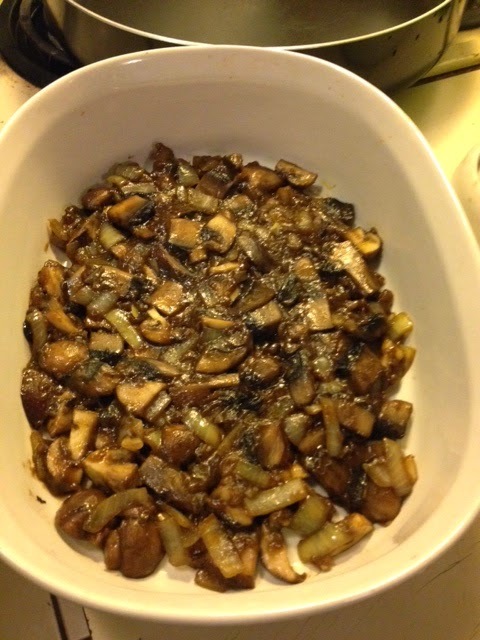 I'd bought a bag that was steamable in the bag so I nuked that and then layered it over the mushrooms. If you'd prefer a different veg then go ahead and substitute it. 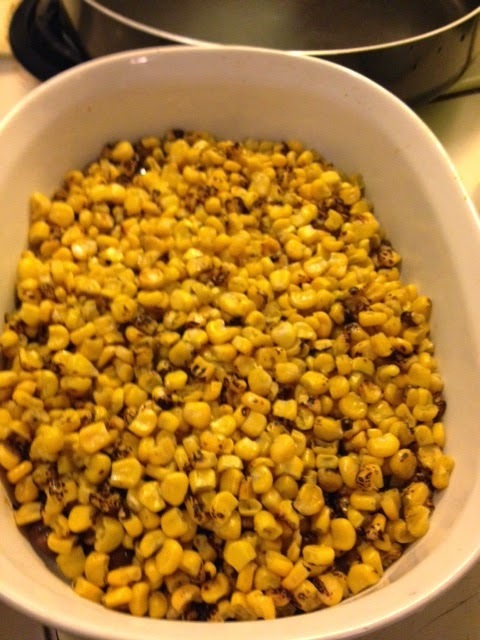 But me, I love corn something fierce. 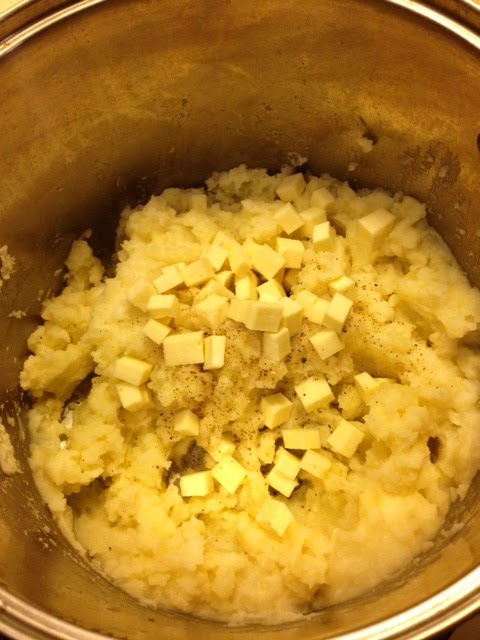 Once your potatoes have softened, mash them with the remaining butter, milk, a pinch of salt and pepper. I like my potatoes chunky but you could certainly mash them until they are smooth. I prefer a more rustic look, that's all. I then chopped up the cheese (it was maybe an inch size chunk but feel free to use as much or as little as you want) into small pieces and stirred them in. I didn't want them to melt completely because I was hoping for burst of flavor with each bite. 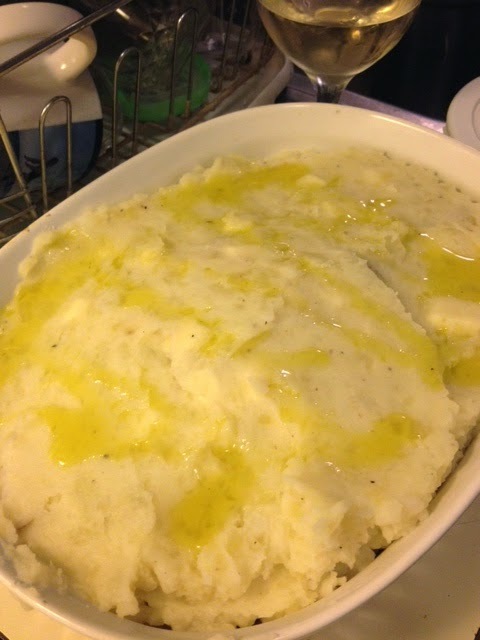 Then I layered the potatoes into the dish, drizzled a little Extra Virgin Olive Oil over the dish and popped it in the oven (at 375 degrees F) for ten minutes. *Notice how you can still see chunks of cheese after it's baked? So. Good. Serve hot and enjoy this hearty meal! This looks so delicious! 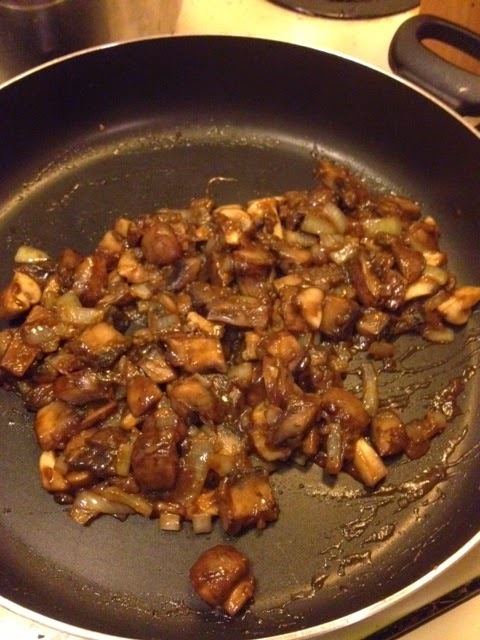 Great idea to sub mushrooms for the meat. I died laughing at "I love corn something fierce."